Over 15 Years Successfully providing Dermal Fillers, Lip Fillers, Lip Augmentation & Anti Wrinkle Injections at our Essex Clinic. Julie is a credit to her industry as she is very professional, honest, caring and extremely good at what she does. I had a satisfactory experience previously with cosmetic treatments but she is in a different league and I am over the moon with the results she has achieved for me. From the minute you meet her, you know you are in safe hands and would have no hesitation in recommending her to anyone. The clinic is in a very peaceful relaxing and confidential environment. From the moment you arrive there, you feel at ease. The clinic is beautifully decorated and spotlessly clean. The power of good reviews encouraged me to approach Facial Aesthetics! I was not disappointed, I fully recommend this clinic. Julie is a very friendly, professional and I am delighted with the results of my treatment. Thank you Julie. Julie Scott is a kind, honest and a consummate professional. She explains every aspect of the procedure to you, calmly and carefully. Julie prepares you well, is exceptionally knowledgeable and is keen that you understand possible complications. I found her honesty and professional integrity refreshing. Julie makes the whole experience calm and relaxing. Julie is a delightful person and an excellent and highly experienced practitioner. I can’t recommend her highly enough. She is a uniquely talented lady. What a truly professional and lovely lady Julie is. I would (and have) recommend my friends and family to her for treatment. It took my third appointment before I was well enough to have this treatment carried out – Julie being caring enough to put my wellbeing and health before that of ‘filling appointments in her diary’, for which I will be forever grateful. Thank you Julie. Julie is fantastic; the clinic, advice, treatment AND the results are top quality. I wouldnt go to anyone else. You get the impression that shes good from the clinic… youre reassured by her clear experience and expertise… youre wowed by the results! Julie Scott was absolutely amazing. She ran through the whole process before and during the treatment making it a comfortable experience. She was extremely honest about my expectations and what I should expect from the final outcome. I would recommend her to anyone, and am extremely pleased with my results. Julie is truly fabulous. She is very professional at what she does and i have been 100% happy and satisfied with the treatment. I visited Julie for treatment for wrinkles after reading her reviews on consulting room and what clinic. I travel from London to see her and am so glad that I have found her. She immediately puts you at ease, she is professional, explains everything clearly and the results of my treatments have exceeded my expectations. I highly recommend Julie, I wouldn’t go anywhere else. I didn’t feel like Julie was another commercial business. People find her through word of mouth which speaks volumes. First impressions were great, the clinic is very pretty, modern and clean yet very professional. Julie is warm and welcoming and you know you will only get her best work. Julie is fantastic, a real gem, honest and professional with the care of your face and skin, I would recommend her to anyone. Clinic is beautiful, clean, welcoming, and friendly, a real pleasure to go there. I would like to thank Julie for her genuine advise, clear explanations and professionalism. I have recently had my first treatment at Facial Aesthetics and thanks to her experience and expertise I am delighted with the subtle changes to my face that has given me back the confidence as a woman I lost along the way. A close friend who has been treated by Julie for years and is the perfect advertisement for her work recommended me to her. I am so pleased she did. I am delighted to have found Julie. It is essential to have a practitioner who you trust implicitly to do the best for you and to provide knowledgeable advice before providing treatment. Julie is professional, patient, supportive and brilliant at making you feel at ease. Her treatments are wonderful and after care is fantastic. Most importantly, the results are great. After visiting Julie I feel years younger and my skin is rejuvenated. Highly recommended. I have been having Treatment with Julie for the past 6 years. She is fantastic! Highly recommended. Julie is great she does nothing that will make you look un natural is always willing to discuss and advise she is one of the most professional people I know I would recommend her to anyone . I have been going to this clinic for many years. First class in every way. Extremely professional, knowledgeable and very friendly. I couldn’t rate this clinic higher. I have a very rare type of Diabetes and cannot go to just any Salon . I contacted Julie at Facial Aesthetics and went for a consultation. I found Julie to be very Knowledgeable in her field and she assured me we would take one step at a time. This we did and i have to say what a great job she did for me.I have no problems with my healing only wish I had known about her earlier. Her treatment room is very airy and comforting. The view from the window is just wonderfully relaxing to look at. Its a beautiful Place and Julie is such a Sweet pleasant Lady. I highly recommend her services. Julie is fantastic; the clinic, advice, treatment AND the results are top quality. I wouldn’t go to anyone else. You get the impression that she’s good from the clinic… you’re reassured by her clear experience and expertise… you’re wowed by the results! Julie is professional, patient, supportive and brilliant at making you feel at ease. Her treatments are wonderful and the results are fantastic. Additionally, her aftercare is second to none. After visiting Julie I feel years younger, my skin is rejuvenated and my confidence is sky high. Highly recommended. Just wished I’d found Julie years ago. I’ve had treatments before which I thought were good but until you visit Julie, I’m sure, like me you will change your mind. The clinic is situated in beautiful surroundings & is so relaxing. She’s extremely professional, honest, and explains everything in such detail so you feel completely at ease with her and you just know the treatment your having is going to be good. She makes you feel so relaxed as you know you are in extremely professional hands. Do try her because I sure you will be more than impressed with her like I am. I found Julie to be very honest about treatments and expectations, very professional and extremely helpful – never over sells. The care she takes makes you feel special and in safe hands – she really listens to the results you would like and any concerns. Julie is a lovely lady who makes you feel at ease and is a perfectionist at all times. I would thoroughly recommend her. Love going to see Julie. So passionate about what she does and puts you at ease immediately with her calming demeanour and the way she goes through every detail with you so you’re thoroughly informed. Couldn’t recommend her enough! It’s worth the 2 hour trip to see her. I am a regular client of Julie’s now. When I first started going I was rather nervous as I had never had any kind of treatments before. I found her clinic cosy,professional and beautiful. Julie herself is welcoming, kind, professional and very knowledgeable. The range of treatments available are fantastic as well as the results. When I go for treatments now it’s like going to visit a friend for a chat! I can’t recommend Julie enough. A beautiful clinic in wonderful surroundings. If you are looking for professionalism and brilliant results then Facial Aesthetics is the place to go. I can not speak highly enough of Julie who completely puts you at ease and takes you through every step of your treatment. Julie is fantastic! The clinic, advice, treatment and the results are top quality. I wouldn’t go to anyone else. You get the impression that she’s good at the clinic, you’re reassured by her clear experience and expertise and you will definitely be wowed by the results! Julie is fantastic. I am a regular client and i trust her completely with every procedure. Her advice is invaluable and her professionalism allows you to relax totally in the knowledge that you are in safe hands. It is vital to trust the practitioner who is carrying out any procedure and I would urge anyone considering a cosmetic treatment to look no further than Julie. You will be in safe hands. If i could award more than five stars, I would. Thanks again Julie for being such a great practitioner. I’m always so pleased with the treatments I have with you and have total confidence and faith in your skills and eye for detail. Also, because of your professionalism, I can always trust that you will be honest with me and not just tell me what I want to hear. You’re a star! I have been a client of Julie’s for the past 12 years . Throughout that time, she has always listened carefully and sensitively to my concerns, and has provided expert and effective treatments, with perfect results. Julie’s consultations are never rushed, everything is carefully explained, and her aftercare is exemplary. As an experienced nurse, I am well aware of the potential pitfalls of such treatments, but I trust Julie’s skills and judgement completely. Julie is continually updating and expanding her knowledge. My personal preference is a subtle, refreshed effect, and that is exactly what I get. Julie always encourages me to come for a review after each treatment, and again this is a thorough, unhurried consultation. The clinic itself has exactly the right balance between clinical and relaxation. Beautiful surroundings, easy parking, perfect treatments at the hands of a true professional. I have been under the care of Julie as a patient for the past two years. In that time, I have found her the epitome of professionalism at every stage of the consultation and treatment process. Pre-treatment, I have found Julie confident in the assessment of her patient’s needs. She has a genuine desire to play a part in the creation of a natural but enhanced look. Julie is diligent and thorough when explaining details of the treatment and what the likely achievable outcome will be. I have at no time found Julie unable to answer any queries I may have regarding treatment and she has impressed me with her extensive knowledge of her products and procedures. During treatment, Julie is extremely considerate and her bedside manner is impeccable. She communicates with her patients throughout the treatment creating a serene atmosphere where trust between practitioner and patient thrives. Post-treatment, I have found Julie dedicated to the well-being of her patient and she always goes out of her way to make contact to make sure all is well. I have no hesitation recommending Julie. This was my first time with Julie and from the start she made me feel comfortable and at ease. She knows her stuff and made me feel I was in good hands. I wish I had found her earlier is all I can say! Even after my treatment I could see the difference straight away, and the next day it was even better. On reading reviews for Julie Scott and Facial Aesthetics Clinic I decided to book an appointment for a facial treatment. I could not be happier with the whole experience and procedure. The clinic is in beautiful private surroundings you are welcomed put at your ease and everything is explained thoroughly and professionally and the results were truly fantastic. I would highly recommend Julie and the Facial Aesthetics clinic! 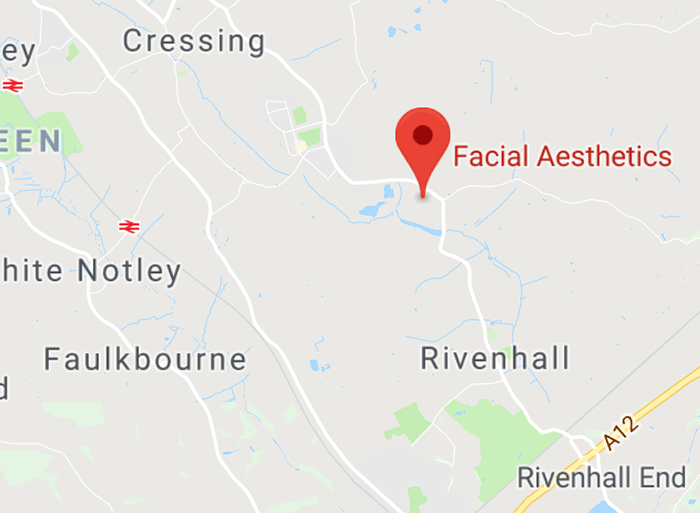 All I can say about Julie at Facial Aesthetics is that I am only sorry that I wasted so much time wondering whether or not to find somewhere to get advice and have a little rejuvenation! I have been absolutely delighted with her helpful and friendly manner and finding someone who believes that less is more is really reassuring. I cannot recommend her highly enough. The work she has done for me has given me a lot more confidence and feeling that one looks younger actually makes one feel and behave younger. Fabulous. Julie made me feel comfortable from the moment i arrived, she took her time to explain the procedure in great detail and answer any questions I had. I felt at ease during my treatment, Julie constantly reassured me and talked me through step by step what she was doing which was very comforting. I would highly recommend her. Julie was excellent. Not only did I get the results I wanted but her customer service was second to none. She really takes the time to listen to you,what you want, what”s important to you, I could tell that she genuinely cares, which is quite refreshing coming from London. I will definately be returning, Julie”s advice is always honest and built on years of experience. Julie from Facial Aesthetics is a true professional, encouraging education and awareness about skincare instead of a quick fix. I have been a client of Julie”s clinic for over 12 years in which time I have greatly benefited from Julie”s sound advice and amazing products. I”m proud of my skin and now I”m in my 30”s Julie has recently suggested a few enhancements to my skincare regime to ensure I am protecting and preserving my skin as much as I can for the next decade. Julie is so friendly, approachable and above all professional. I have complete trust in Julie and her incredible knowledge coupled with her impressive array of products suitable for all skin types and budgets. The clinic is set in beautiful and private grounds, once you arrive you won”t want to leave! After finding Julie on the internet and searching through numerous clinics, I was drawn to her clinic after reading all her background information. I emailed Julie first and then we had a phone conversation to arrange my consultation. Julie was so informative and not pushy at all. My consultation wasn’t rushed, all my questions were covered and I was under no pressure to go ahead. Julie said we could either go ahead if I felt happy or to go away and digest everything first. I truly felt in safe hands and the knowledge and experience Julie has is so reassuring. The treatment I had ( dermal fillers) were painless and Julie understood exactly how I wanted to look. Her clinic is very calming, relaxed and Julie really looks after you and makes sure your happy. Julie will be completely honest and tell you if she doesn’t think something you may like will look OK.
I’m over the moon with my results, so much so I’ve been back today for muscle relaxants. I have total confidence in Julie, and have always been thrilled with the results of my treatments. The pre-treatment consultation is excellent, and the aftercare is faultless. Very friendly and treatments and products to suit all budgets.